BEWARE! Initially I was liking this place, but I need to warn others of them not backing up their work and I caught them in not being 100% upfront and truthful. They diagnosed my vehicle in needing a head job and quoted $2700. After 8 days of them having my vehicle they said it was ready to be picked up and sorry but the noise is still there. It was misdiagnosed and therefore he would reduce price to $1,974. I displayed my disbelief and displeasure so he used a 3rd party and paid $130 out of his own pocket to get a diagnosis to find out the vehicle needed a new engine at $4,500. He said if I proceeded he would apply the $547 labor I paid for the first job to the new job. I complained to corporate head office and they said they would investigate and call me in a few days. That was 3 weeks ago and I replied to them by email asking what is up only to be completely ignored. PLEASE BEWARE! I took my 2011 BMW E90 to them for an alignment after it was lowered and they also straight piped my exhaust by removing both my resonators and muffler. These guys did AMAZING WORK! Mike at the desk is a very knowledgeable man who knew I was on a budget and gave me a great deal which was in my budget. His guys in the shop are very very very good at what they do. They made a custom pipe and the weld and fitment job was 100% perfect. I would highly recommend this shop to everyone!!!! Honest, reliable and trustworthy! A + guys, very impressed and I will be coming back! My husband and i have tried many places to have our vehicles serviced until we met Mike. He has taken away all the fear of being taken advantage of as well as faith that the work we get on our vehicles is TOP NOTCH. I am confident and have experienced them take outside of the box steps and going the extra mile to make not only my vehicle but my husbands as well. All this and trying to keep within our budget. I 1000 percent recommend taking your vehicle here for servicing. You are in good hands with Mike and his team. I would never take the car to this place, they are very expensive and rip people off. My friend went there to replace rear brakes, as they were due. They charged him $70 for cleaning and adjusting saying they were ok. A month later, he went back and they charged him $470 just for the rear brakes! It gets way worse, it turned out that they had never ever touched his brakes!! I spoke with Mike at the front desk about my issue, he was very knowledgeable. After my job was finished the price was what he quoted. I again had a small problem a week later. I was prepared to leave the car there but he fixed my issue within minutes. I highly recommend this location. Thanx guys!!! Heres to all the positive reviews which dont get posted! 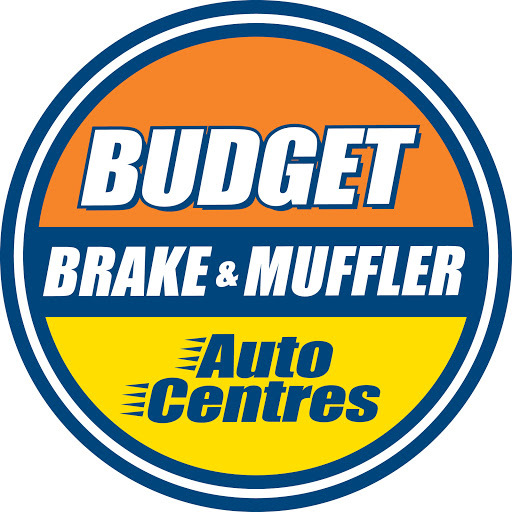 Bought a car, which had a radiator replaced here 2 months prior, then the radiator sprung a leak a month into ownership, Mike @ Budget honored the manufacturers warranty even though the car transferred ownership. Thanks! Fleetwood Mike it is a great and decent guy, he fixed my car pronto, did go the extra mile.Having a problem with my windshield did fix it, no charge. Decent service and pricing. Thank you! Feeling blessed to have received curteous, knowledgeable service. Thank you to Mike and his staff. Merry Christmas to you and your families. I cant imagine a better place to bring my car to fix. Awesome mechanics, awesome customer service. Good deals!!!! Very helpful and decently priced. I will be taking my car hear again. .... will update at a later date.